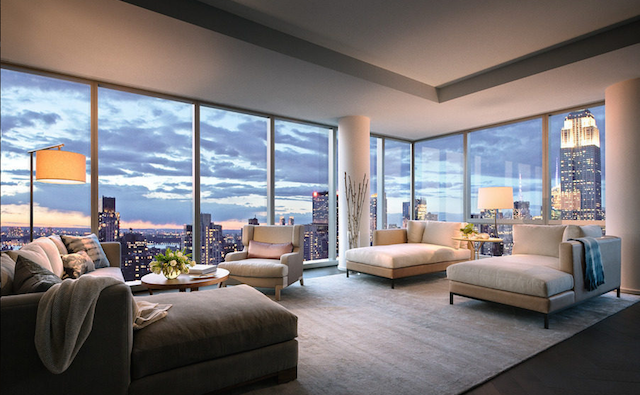 Tom Brady and Gisele Bundchen have an apartment for rent in New York City and it only costs $40,000 a month. One of the perks of you AND your wife being really rich is you can buy lots of nice stuff. Tom Brady -- multimillionaire quarterback of the Patriots -- and Gisele Bundchen -- even richer supermodel -- are such a couple. The downside of having tons of really expensive stuff all over the world is sometimes you have empty buildings burning cash. Which is why Brady and Bundchen are, according to Curbed.com, trying to rent out their ridiculous New York City apartment for the low, low cost of $40,000. A month. Step off your keyed elevator into your private Entrance Foyer with framed unprecedented unencumbered views South. 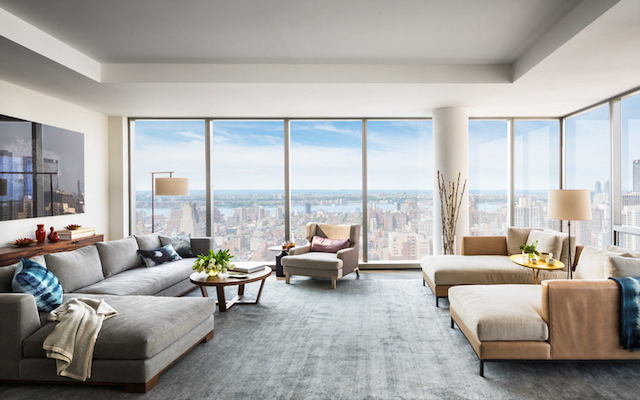 Move into an open great room looking North over Madison Square Park with iconic never before positioned views of the Empire State Building, West to the Hudson River, and well beyond. 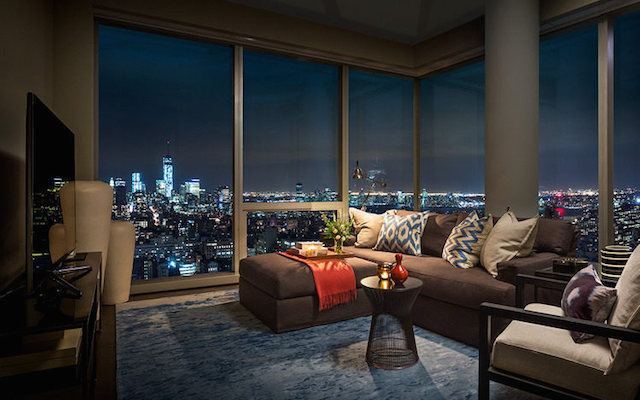 Watch the sunset each evening from the Southwest corner Living Room with the soft light reflecting off the Freedom Tower and all of Manhattan's bridges. 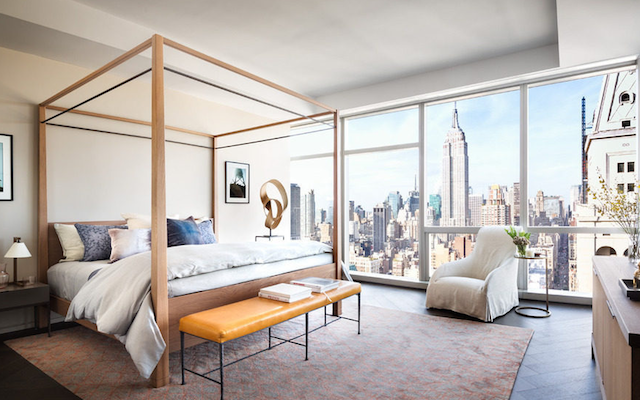 The Master Bedroom Suite captures arguably the most magical and romantic night views North of the twinkling Empire State Building and East for soft morning sunrises over the East River. Pretty decent view Brady's got going on in the city. If you're one of those people who doesn't like dealing with furniture, you can rent the apartment completely furnished for $42,500. It's a four-bedroom, 4.5-bathroom number with 3,300 square feet in total. Which is insane for a couple reasons. One, that's a pretty huge damn piece of property to stick in a big tower. That's a lot of house much less an apartment. Two ... I kind of feel like $40,000 is a reasonable sum for that much space in the nicest section of New York. Don't get me wrong, I wouldn't pay it (or, couldn't, really). But dropping that much on this ridiculous place feels better than spending $3,000 a month on your standard one-bedroom run-down New York apartment. The building also features a gym, pool, steam room, concierge service, screening room, large dining room with catering kitchen, common living room, and library with daily butler service. Hopefully someone will save Brady and Gisele from months and months of a not-at-all-crippling tax write off.